May 25, 2017 Whitney Kirchner	Be the first to comment. May 24, 2017 Whitney Kirchner	Be the first to comment. In this webinar, learn all about our pillar of Dynamics 365 success, our support offerings. Join us for a webinar on how learning paths in Dynamics 365 can transform your training strategy within your organisation. May 3, 2017 Carly Sletten	Be the first to comment. Learn how housing associations and property management companies can use Dynamics 365 for service optimisation and innovation. April 23, 2017 Carly Sletten	Be the first to comment. 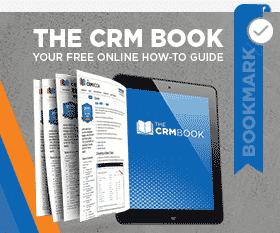 There are challenges that come with every CRM implementation. Some of the biggest road bumps are CRM governance, change management, and user adoption. March 23, 2017 Carly Sletten	Be the first to comment. Learn how working with PowerObjects’ Microsoft Cloud by PowerObjects and PowerSuccess programmes help SMEs achieve success within their organisations. March 21, 2017 Carly Sletten	Be the first to comment. In part one of our SME and Dynamics 365 webinar series, you’ll learn the benefits SMEs see after implementing CRM for Dynamics 365. March 16, 2017 Carly Sletten	Be the first to comment. Join us for a PO TV Webcast where we dive into PowerApps in more detail and demonstrate how it all comes together. March 15, 2017 Carly Sletten	Be the first to comment. March 9, 2017 Carly Sletten	Be the first to comment. Learn how to use the CRM for Dynamics 365 Learning Paths features and functionality to create a custom learning path.